LA FORTUNA, Alajuela — It hovers over the region like a pyramid of the gods, a nearly perfect cone with deceptively green hillsides that were once flooded with fiery lava. Volcán Arenal destroyed two villages and killed nearly 100 people when it erupted in 1968, and for years to come it put on a fireworks show for the ages. For a long time, the primary reason tourists came to Arenal was to see a live volcano spewing lava. At first they were backpackers, asking around about a place to pitch a tent or borrow a bed, but they kept coming, in ever larger numbers and socioeconomic ranges. Before long a lightbulb went on over the heads of all the ranchers in this town: These foreigners are worth more than cattle. Today Arenal is the adventure capital of Costa Rica, offering ziplining, rafting, kayaking, canoeing, tubing, canyoning, windsurfing, waterfall rappelling, horseback riding, biking, hiking, birdwatching, fishing, hot springs, mud baths, hanging bridges and just about anything else you can do without an ocean in this country. “I believe it’s the biggest adventure capital in the world,” said Suresh Krishnan, founder of Desafio Adventure, the largest tour company in town. In one generation, much of the local populace went from milking cows to building hotels, restaurants and ziplines. That only increased the flood of tourists, and the locals kept coming up with more and more to offer them, until eventually this region had a tourism infrastructure second to none. In this series, Tico Times Travel takes an in-depth look at some of Costa Rica’s greatest destinations, with multiple articles exploring their appeal. 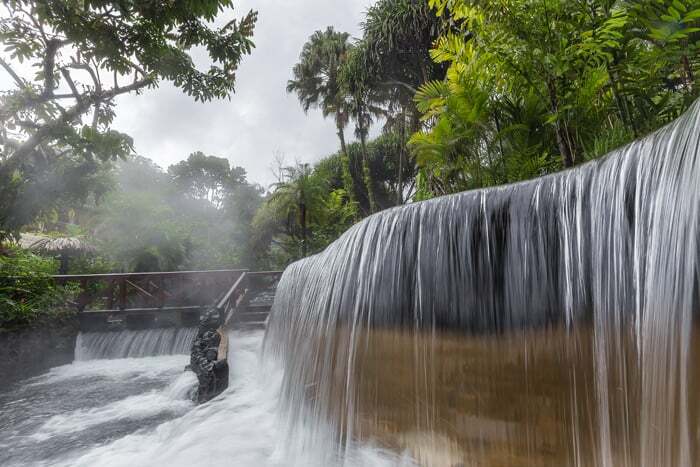 In April, we’ll be looking at all the attractions of Arenal — adventure tourism, hotels, restaurants, real estate, and of course that volcano and all those hot springs. 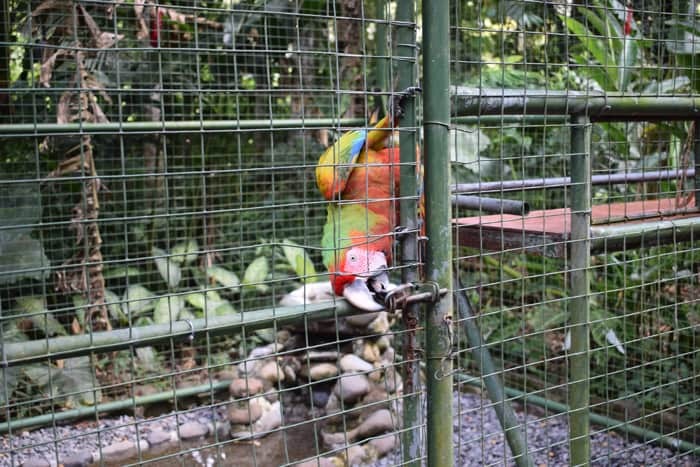 Suresh’s wife, Christine, said a study of Trip Advisor and other travel portals found that Arenal offers 148 distinct activities — more than any other place in the world. The runner-up, Queensland, New Zealand, didn’t even break into the triple digits. “We have the world’s largest playground, an amusement park for adults,” said Tui Frye, 41, a local wedding planner. 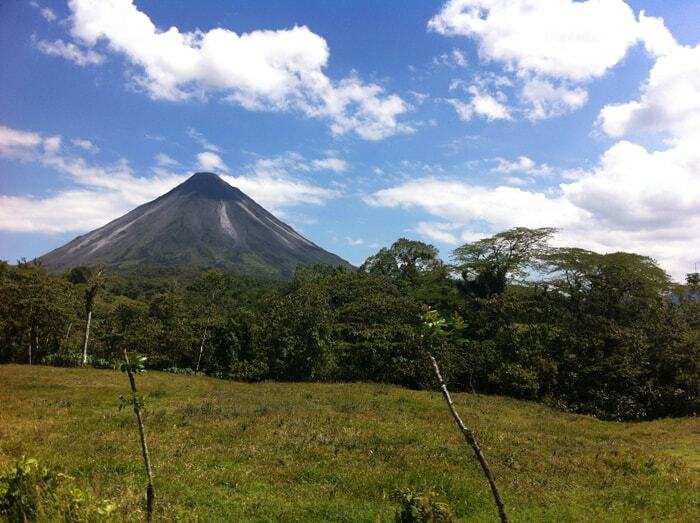 When Arenal stopped erupting in 2010, it didn’t matter. The tourists kept coming, and they always will. 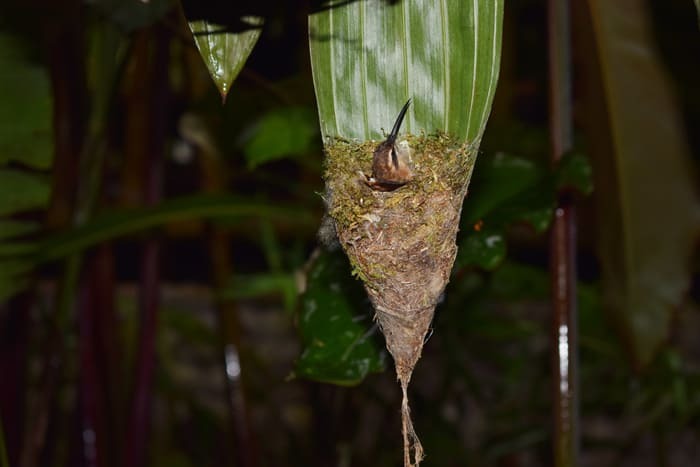 Arenal is a self-sustaining sponge for tourism dollars, and it’s in no danger of falling dormant. Wherever you go, Volcán Arenal is always looming in the background, like a silent sentinel, or a giant anthill keeping watch over all the ants. It reminds me of a Tico Mount Olympus — where the gods would live if the gods lived in Costa Rica. The most unusual thing about this town is that almost everything here is owned by Costa Ricans. This is extremely unusual in this country, where in most popular tourist destinations a great many hotels and restaurants are owned by foreigners. The town of La Fortuna was founded by a handful of Costa Rican families, and several people told me that around 1968 they made a pact not to sell land to foreigners. “Land is not for selling,” the parents told their children, and most of the children listened. Today the resort-rich highway between La Fortuna and Laguna Arenal is almost 100% locally owned, with a few notable exceptions. This explains in part why something is notably missing from La Fortuna that you can find at virtually every other major tourist destination in Costa Rica: real estate offices. 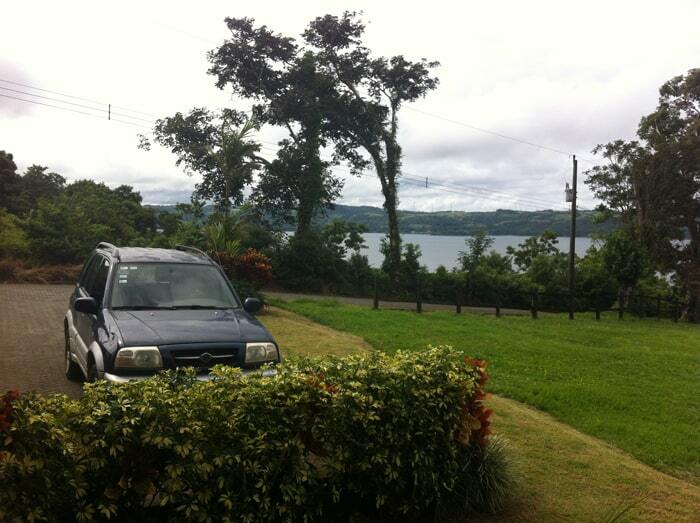 To find those, you have to go to Nuevo Arenal, a town 45 minutes away on the shores of the man-made Arenal Lake. Nuevo Arenal was built to replace the old town of Arenal, which was purposely flooded in the 1970s to build the reservoir. The second-largest lake in Central America, after Lake Nicaragua, it’s a stunning beauty that produces roughly 40 percent of Costa Rica’s electricity. It’s famous for rainbow bass (guapote) fishing, windsurfing, kiteboarding, stand-up paddling, kayaking and splendid views. 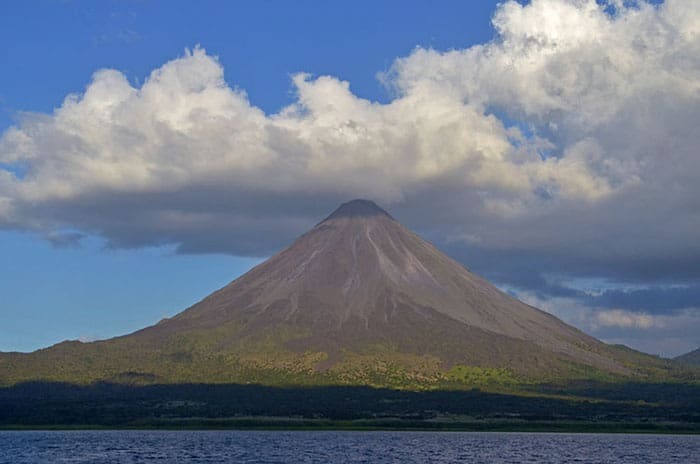 Arenal (which means “sandy place,” from the look of the volcano’s slopes), is the proper name of the volcano and the lake, but the word is commonly used to describe the entire region, especially in its marketing to tourists. 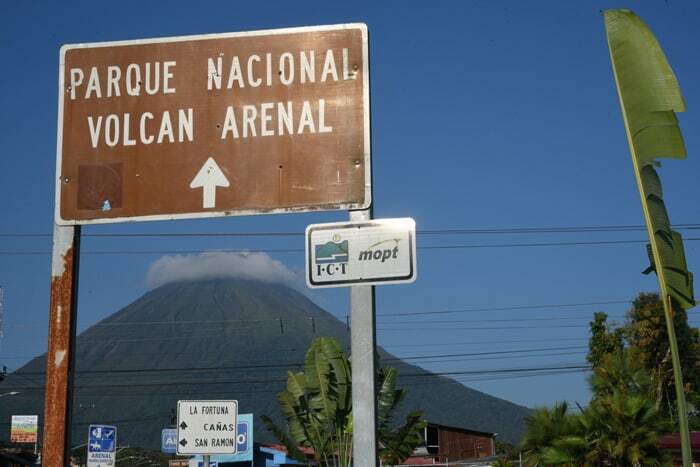 Nuevo Arenal is the name of the town near the lake, and La Fortuna is the name of the town closer to the volcano. 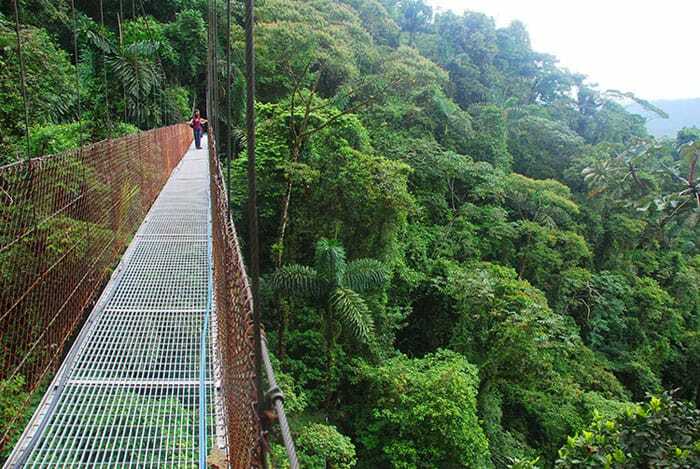 All of these are located in the canton of San Carlos, Alajuela. Just don’t go looking for the town of San Carlos on a map, because you won’t find it there, although that’s what most Ticos call the canton’s capital, Ciudad Quesada. Quesada is a city not well-known for tourism, though if you’re looking to buy some new clothes, you’ll find much lower prices there than at shops in Fortuna. If you enjoy a good adventure, you’re going to love this place. My girlfriend and I went stand-up paddling on Lake Arenal with Desafío Adventures, ziplining with Ecoglide, Zorbing with Mistico and horseback riding with Montaña de Fuego. We got wet in multiple hot springs, we stayed at a dozen hotels and we scouted out the best restaurants. And we’ll be reporting on all of this soon in upcoming stories in this series. Courtesy of Tabacón Thermal Resort and Spa. A couple of years ago I visited Arenal with Costa Rica Love Hostel, went waterfall-jumping and soaked in a free, hot river. Later I visited alone and climbed Cerro Chato, which today is strangely illegal. Still later I visited with my sons and went ziplining at Sky Adventures, then had an unexpected adventure when a tree fell across a road. Arenal has never let me down, and I’ve never had a bad time here. For now, I’ll tell you about two special places here that remain close to my heart for totally different reasons. On Trip Advisor, No. 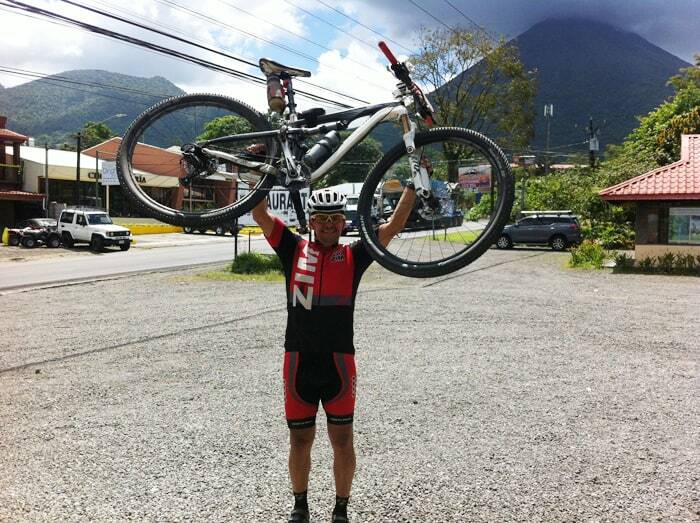 1 of 65 things to do in La Fortuna is not in La Fortuna but about 50 minutes south, in Javillos. 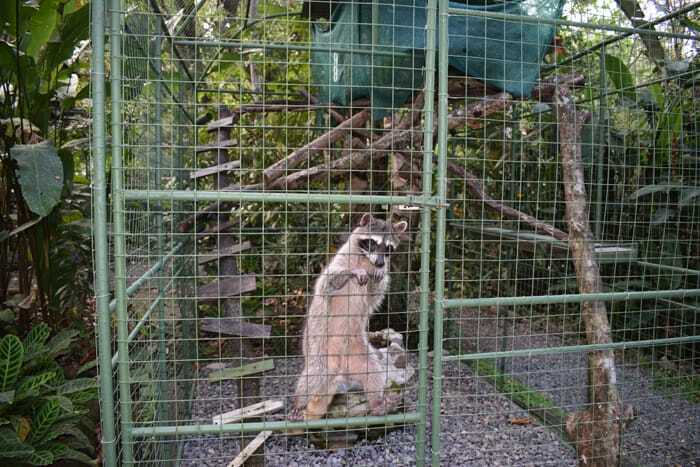 Proyecto Asis is an animal rescue center that is home to spider monkeys, white-faced monkeys, peccary, a kinkajou, a coati, a brain-damaged raccoon, a porcupine, a gorgeous margay cat, a toucan with a mutilated beak, a scarlet macaw couple, a bunch of parrots and a red-green macaw hybrid that opened the lock of its cage while we were watching. A visit to Asis is a standout experience well worth including in your plans if visiting this area. I’ve been to lots of animal rescue centers in Costa Rica, and this was by far the happiest. Part of that was because of Carlos Barrantes, 26, our cheerful, funny and mischievous guide. Before we entered the big parrot cage to feed the birds, Carlos warned us that if the birds pooped on the back of our necks, we shouldn’t look up with our mouths open. Once we were inside and distracted by the feeding frenzy, he went around surreptitiously sprinkling water on the back of people’s necks. The majority of these animals are here because they were illegally kept as pets when they were young and cute, but at some point their owners could no longer deal with them. Many can never be returned to the wild, Carlos explained, because A) in the wild they live in packs, but a solitary newcomer will be killed by the pack; B) wild animals need to be aggressive and self-protective, and many here are tame and trusting, so they will also be killed; C) many are injured, like the toucan with the broken beak and the brain-damaged raccoon, and could not fend for themselves in the wild; and D) these ex-pets are accustomed to being fed by humans, so they don’t know how to find their own food and they will approach humans trustingly, which can also get them killed. 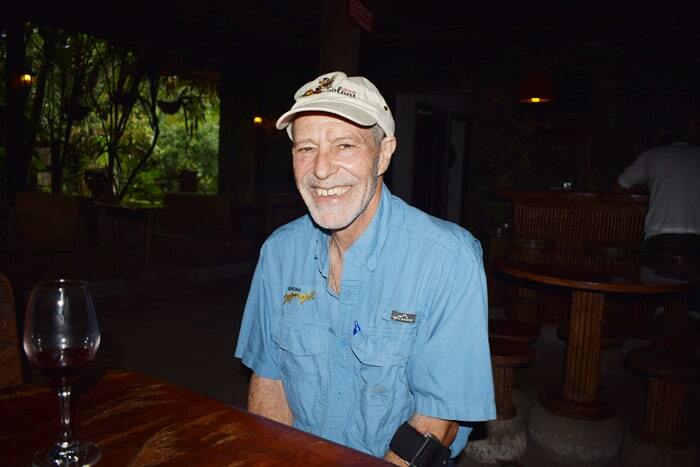 A doctor from England at the porcupine cage asked Carlos if he could take a picture for her, and he said, “Sure. Oh, of the porcupine? I thought you wanted to take a picture of me.” He snapped a picture of the doctor with the porcupine, then he quickly took a selfie of himself and me and handed it back to her. 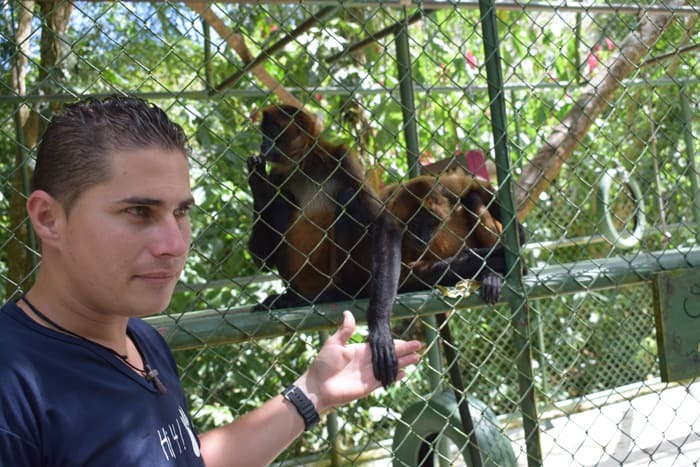 At the spider monkey cage, Carlos introduced us to a lady he called “Guapa” (“Good-looking”). Then he told the doctor she could let go of his hand now. And he apologized to Guapa for holding the woman’s hand so long. 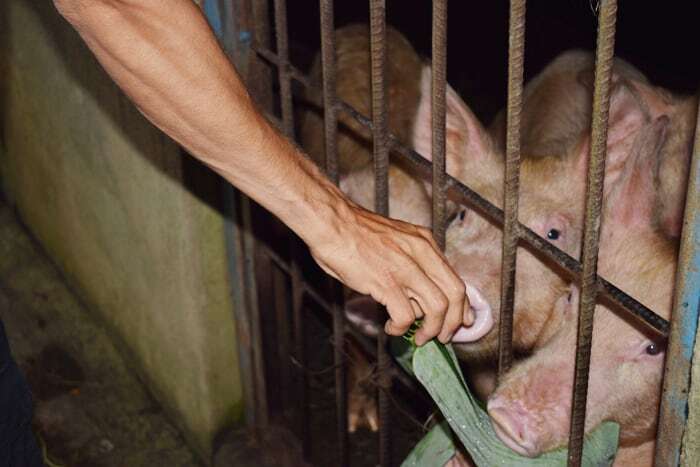 Another place well worth a visit here is Rancho Margot, which is a working dairy, poultry, pig and vegetable farm and also an all-inclusive hotel — and is a beacon of sustainable environmental practices. 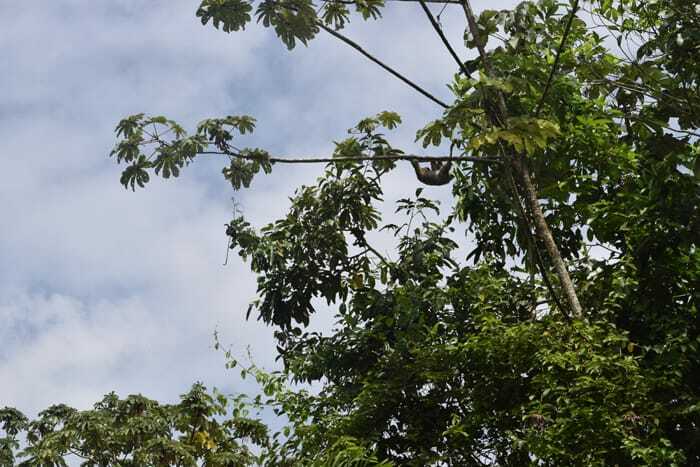 “We’re certified carbon-neutral, with a negative footprint of 1,275 tons a year,” said Juan Sostheim, a Chilean of Jewish German descent who bought this finca in 2004 and named it after his mother. At the time it was all potrero, deforested pasture for grazing, with no structures on the property. Juan built 17 bungalows, a large bunkhouse, a reception area, a restaurant, a covered swimming pool and pens for the cows, pigs and chickens. He allowed the forest to regrow and planted lush gardens. 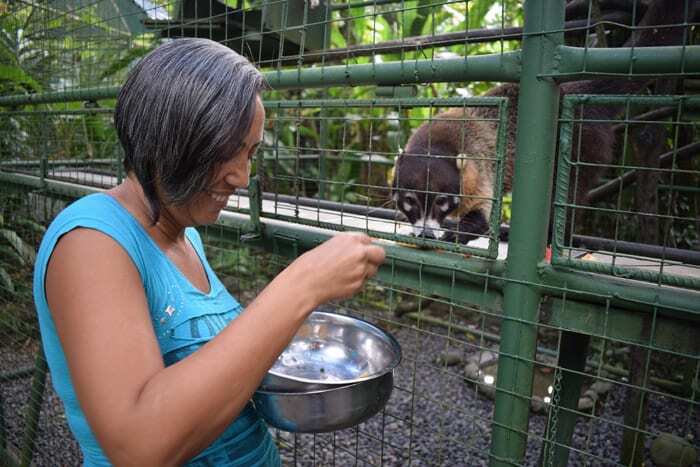 The finca is internationally recognized for its sustainability — the Costa Rica Tourism Chamber often brings foreign delegations here, thousands of university students come to learn about permaculture, and there have been French, Russian and U.S. film crews. A five-person team from CNN led by Sanjay Gupta spent four days here filming a report. Juan plans to build some 65 homes and a commercial center on his 200-hectare property, but it will hardly be an ordinary development. All the homes will be on agricultural parcels for what he describes as community-based agriculture. And the first people he wants to house there are the people who work for him. Lots of dreams are waiting to come true in Arenal, so find your own. Whatever you want to do, the chances are you can do it here. May the gods of the mountain be with you.